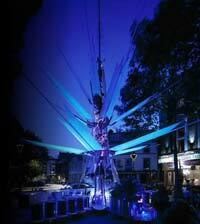 Below is a list some of the best contemporary Art we can find. Bodies .. Umm scary.. Off to see this exhibition on Saturday and i'll be able to update this blog about what its like.. I came across this car today and thought it worthy of being the first contemporary art item on contemporary home. 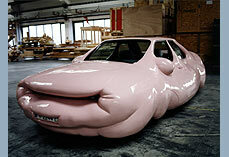 The car is called the "Fat car" and its created by a comporary artist called ERWIN WURM. I think the car and its style speaks for itself.. Wow.. so odd but I "think" I like it..